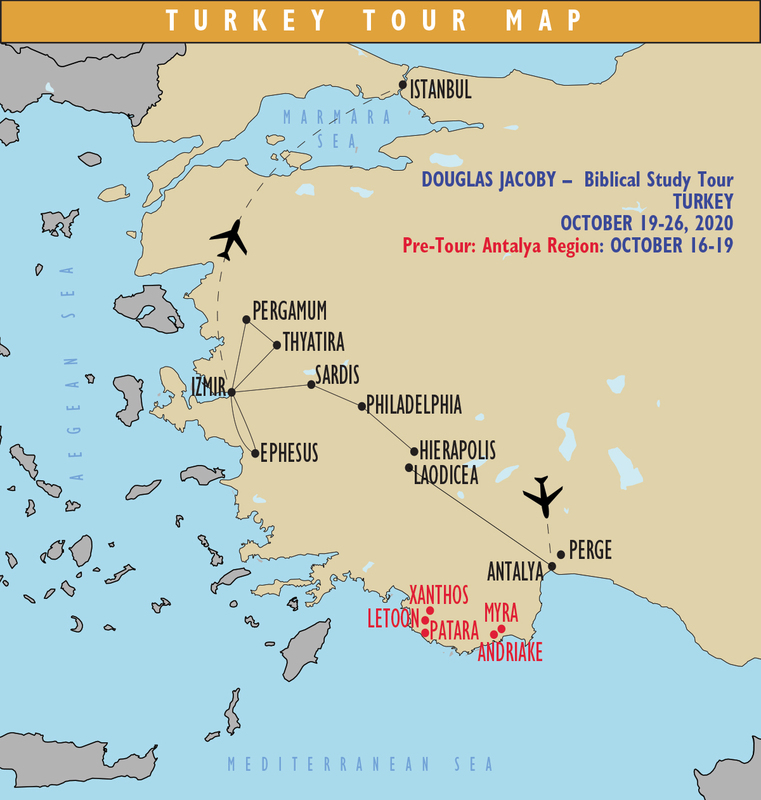 The goal of the Biblical Study Tours is to bring to life the world of the Bible. Nearly all the biblical story takes place around or near the Mediterranean, in the (modern) countries of Cyprus, Egypt, Greece, Iran, Iraq, Israel, Italy, Jordan, Lebanon, Macedonia, Malta, Syria, and Turkey. The top two countries, for biblical purposes: Israel and Turkey—the second "Bible Land." Turkey has had a major impact on our world. Apart from its essential role in Christianity and Islam, its numerous cultural contributions include kebabs, the unforgettably powerful Turkish coffee, and Turkish delight (be sure to sample this delicacy). Major historical figures include the phenomenally wealthy King Croesus of Lydia (6th century BC), Sulëyman the Magnificent (16th century AD), and Mustafa Kemal Atatürk, the great reformer (1923+) and founder of modern Turkey, now with a population over 80 million. Turkey also takes prides in at least two Roman emperors, Constantine the Great (early 4th century AD) and Justinian (6th century). Ancient Anatolia (corresponding roughly with the modern nation of Turkey) is ever in the background of the Old Testament, with a number of explicit references to the powerful Hittite Empire, which was centered there. 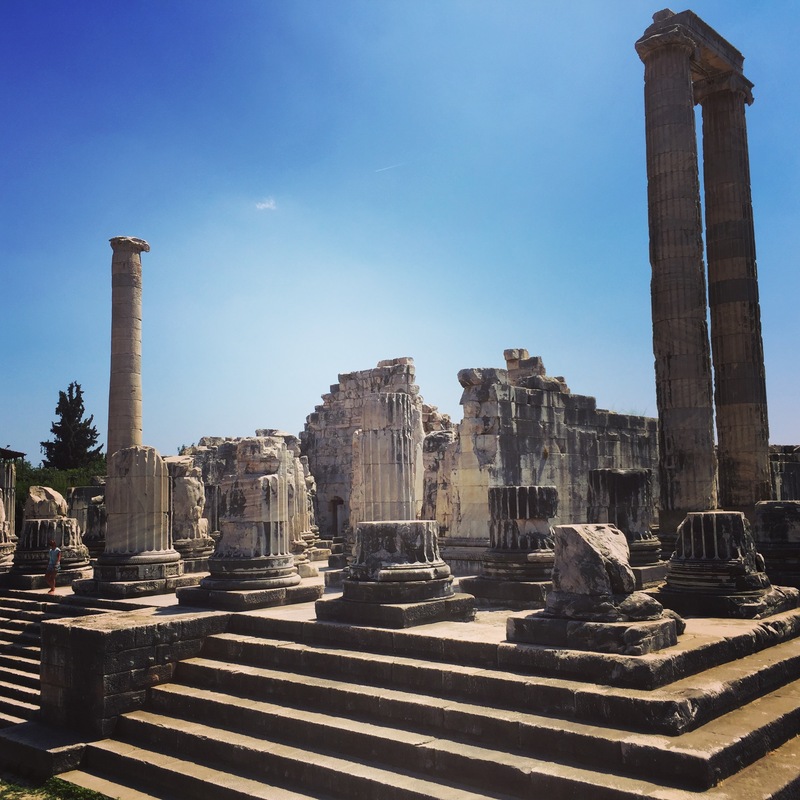 One of the Seven Wonders of the Ancient World was located here: the Temple of Artemis in Ephesus, where the goddess was worshiped for 1000 years. Yet it is in the New Testament that Turkey emerges front and center on the biblical stage. 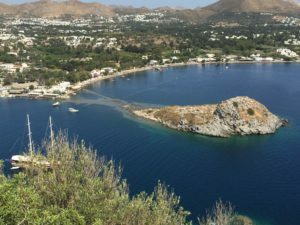 The ministry of Paul achieves special success there, and later (according to tradition) the ministry of the apostle John (based in Ephesus). In fact, if you skim the Book of Acts, and the N.T. 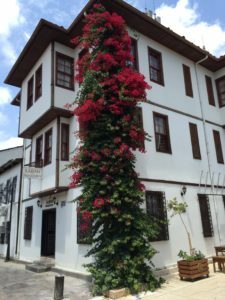 letters, it quickly becomes clear that more Christian congregations are established in Turkey than anywhere else. Consider Ephesus, Colossae, Hierapolis, Laodicea, Smyrna, Pergamum, Miletus, Philadelphia, Sardis, Thyatira, Lystra, Derbe, and many more locations—many of which we will visit! Several provinces in Turkey familiar to readers of the New Testament are Asia, Bithynia, Cappadocia, Cilicia, and Galatia. For early church history, early important countries include Israel, Syria, Egypt, Italy, Greece, and Turkey. Further, in the fourth century, the capital of the Roman Empire was relocated from Rome to Constantinople (modern Istanbul). Numerous Christian councils met in this land (at Nicea, Constantinople, Ephesus, Chalcedon), mainly to discuss the relationships among the persons of the Trinity. Your faith will be strengthened. You will no longer have to only imagine what the biblical world looks like. Now you can remember! The fellowship will be invigorating. Make new friends from around the globe. The Bible will come to life, revealing a new dimension, as you better your grasp of history, geography, archaeology, and the movement of the biblical story. Equipped with a more solid understanding of scripture, your confidence in talking to others will grow. Oct 19 Mon—Arrive Antalya Airport (airport code AYT)—you're probably connecting from Istanbul, where you will clear customs—otherwise you will clear customs in Antalya. After baggage claim, the representative will meet you with a “BST—TUTKU TOURS” sign. Meet and transfer to the hotel for dinner and overnight. 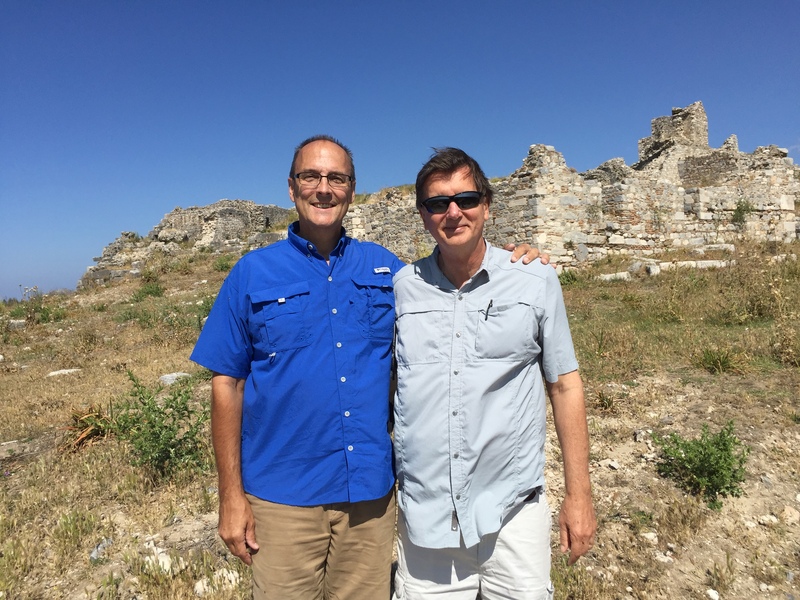 We will explore Antalya (biblical Attalia—Acts 14:25), then the Greco-Roman city of Perga (Acts 13:13–14; 14:25). Stop at St. Paul Cultural Center & Church for short free time and lunch. Afternoon visit to the award winning Antalya Archaeology Museum. Dinner and overnight in Antalya. Drive to Lycus River Valley. First, tour of Laodicea to see the latest excavations. 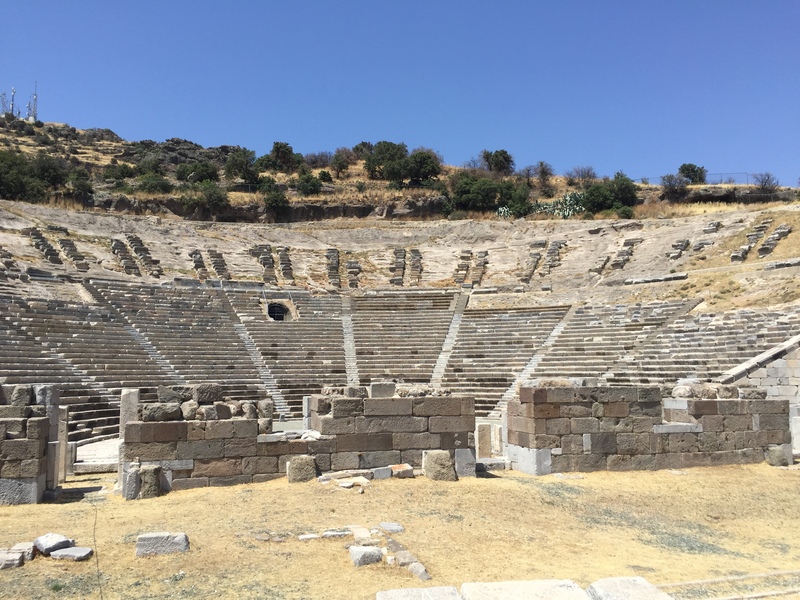 Then drive to nearby Hierapolis to see the newly found Tomb of Philip. Dinner and overnight in Pamukkale. Drive to Alasehir to see the remains of the Philadelphia church. 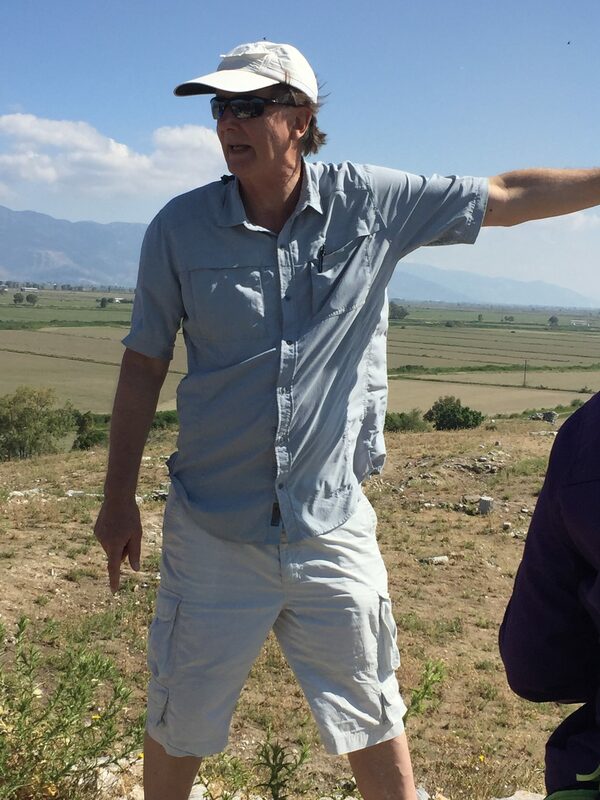 Continue to Sardis, capital of ancient Lydia, where the world's first coins were minted. See the remains of the massive Artemis Temple. Proceed to Smyrna, modern Izmir to see the agora of Smyrna. Dinner and overnight at hotel in Izmir. 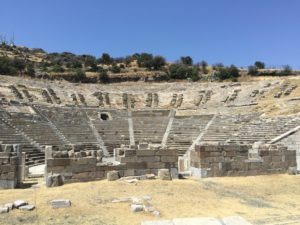 Visit the famous ancient city of Ephesus (Acts 18:19-24; 19:1-35; 20:16-17; 21:29; 1 Cor 15:32; 16:8, 1 Tim 1:3; 2 Tim 1:18; 4:12; Rev. 1:11; 2:1), and its Terrace Houses, the Ephesus Archaeological Museum, and the Basilica of St. John. Dinner and overnight in Izmir. Leave for Pergamon. Take Cable Car up to panoramic Acropolis. Visit the acropolis, with the steepest theater of the ancient world and the Temple of Trajan. 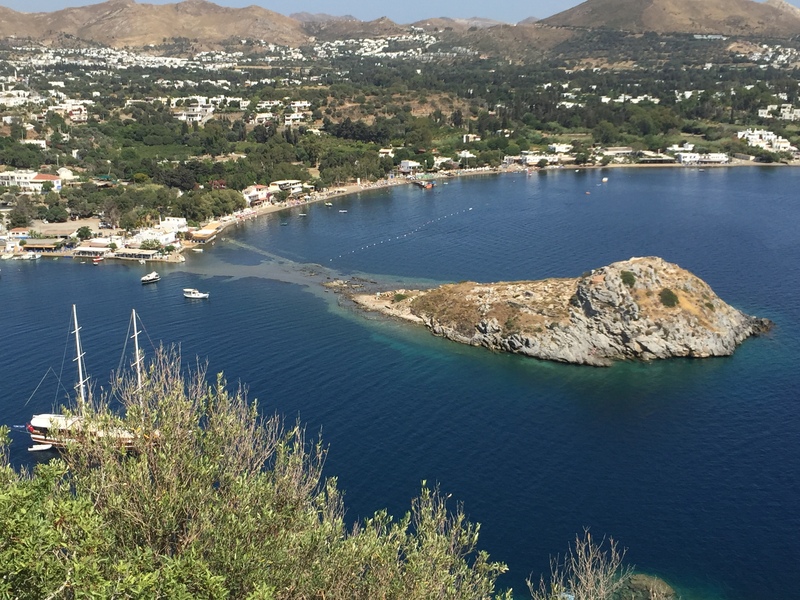 Then visit the Asklepion, the ancient healing center. Transfer to Izmir Airport for late afternoon flight to Istanbul. Dinner and overnight at the hotel in Istanbul. Full day Istanbul tour; visit the Roman Hippodrome Square, Blue Mosque with its beautiful blue tiles, Hagia Sophia Church, built by Constantine the Great and reconstructed by Justinian in the 6th century, one of the world’s greatest architectural marvels and a designated World Heritage site. Then visit the Istanbul Archaeological Museum, containing important Bible artifacts. Return to the hotel for dinner and overnight. 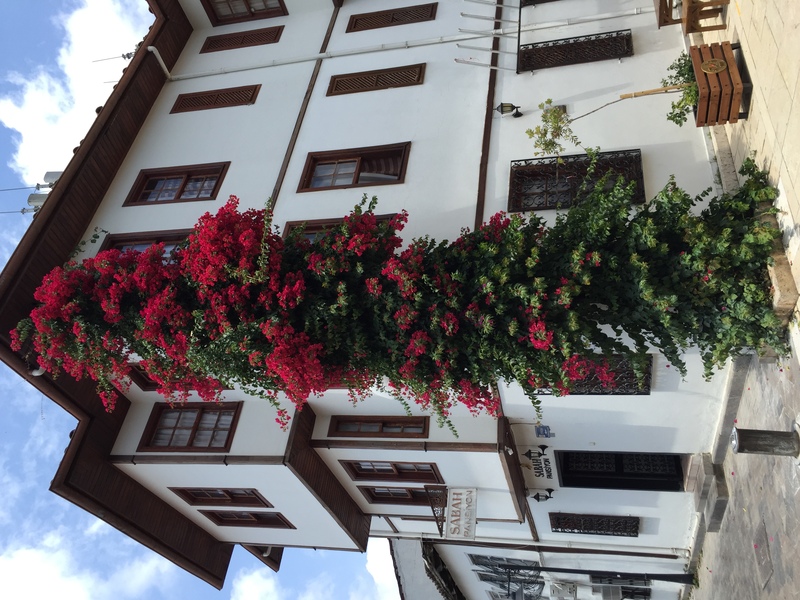 Oct 26 Mon—Breakfast and transfer to the Izmir Airport for departure. Why come on the pre-tour? 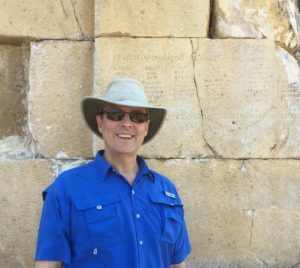 For one, this is a superb opportunity to learn about the ancient world, the ministry of the apostle Paul, and the workings of archaeology. 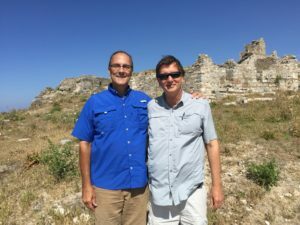 Dr. Mark Wilson, head of the Asia Minor Research Institute, is an expert on biblical Turkey for many reasons, like his Ph.D. on the Letters to the Seven Churches of Rev 2-3—besides the fact that he and his wife live in Turkey. For most of us, this will be our only time to visit Turkey. Maximize your experience—learn all you can. Another benefit is that having these earlier days in Turkey will take the edge off any jet-lag—you'll be fresher once the main tour starts. And of course the fellowship of a smaller group is extra encouraging; when the tour proper begins, you will already know a number of fellow participants. Size of pre-tour: 15-20 persons. Oct 16 Fri—Arrive Antalya Airport. Meet and transfer to the hotel for dinner and overnight. Oct 17 Sat—Visit Myra, Nicholas Church—and ancient synagogue in Andriake. Overnight in Kalkan. Revelation (Zondervan Illustrated Bible Backgrounds Commentary). This is a superb, not-too-technical, 4-volume series. 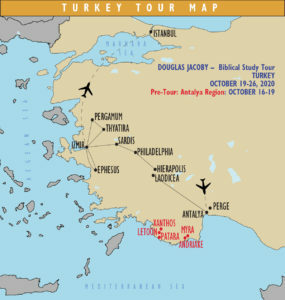 Biblical Turkey: A Guide to the Jewish and Christian Sites of Asia Minor—excellent reference. Cost per person, main tour, double occupancy: $1800. Super-early payment (by 30 June 2019): $1659. Early payment (by 30 September 2019): $1699. Full payment due (before 1 Apr 2020): $1800. Late payment (after 1 Apr 2020): $1900. Single room (if you are traveling alone—do not have roommate), extra $550. Payment by credit card, debit card, Western Union, cash, or cheque. Deposit required to reserve your place: $300. To reserve, please send an email to dj@douglasjacoby.com. Note: Being on the Interest list is not the same as being registered—which requires a deposit. Hotels: 2 Nights at 4 star Best Western Khan Hotel in Antalya or similar; 1 night at 5 star Doğa Thermal Hotel in Pamukkale or similar; 2 nights at 4 star Mövenpick Hotel in Izmir or similar; 2 nights at 4 star Mövenpick Grand Halic Hotel in Istanbul or similar. 4 airport transfers on 19 Oct, 4 transfers on 26 Oct (also 16 Oct for pre-tour), licensed tour guide(s) & Douglas Jacoby co-lead the tours. Excludes: Flights, health & travel insurance, lunches, any personal expenses. Airport information and flight recommendations will be available by August 2019. Pre-tour per person, double occupancy: $790. Early payment (by 30 Sep 2019): $725. Deposit: $200. Note: Travelers coming alone (if we have an odd number) will be placed in (and charged for) single rooms. There is a single supplement. We will try to find your a roommate, but cannot guarantee this. If you are definitely coming alone, and do not want to pay for the single room, then register as early as you can.